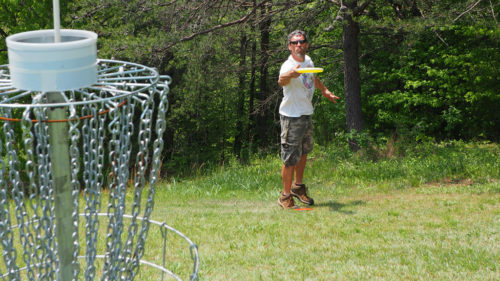 I've been playing disc golf for 35+ years and still play tournaments in the grand master pro division. But I mostly just play for fun with my buds and my dog Buster. I love to encourage and mentor new players as they learn the dynamics and rules of the game. We would be playing at Cedarock park mostly, as there are two 18 hole courses there. Players need to be able to walk about 1.5 miles on hilly to rough terrain, and have plenty of hydration. I can provide loaner golf discs for beginners, and by the way... it's free! I would not recommend kids under the age of 14. Its hard to have an exact age cut off, but they need to be fairly coordinated, respectful of other players, and stay behind the direction of play, as golf drivers are sharp edged and can cause injury. Also, disc golf is weather contingent, so rain or high winds will cause rescheduling. Be strong, pray long, and throw long!